The VI Barcelona Beer Festiva Edition, an essential event for the whole sector of national and international artisan beer, will be held in La Farga de L’Hospitalet (Barcelona) the 24th, 25th and 26th of March. This 5th edition of the festival will experiment an increase of exhibitors due to the good health of the sector. Plus, because of the trend experienced in past editions, visitors are also expected to increase. The fair will take place in La Farga de L’Hospitalet (Baix Llobregat), an exhibition center bigger than the original one that held the initial editions of the fair, in order to accommodate the growing number of requests received each year from the festival. According to the Brewers of Europe association, in Spain there has been an exponential growth of registered microbrewers, climbing to the top positions in the ranking of European countries. The BBF is one of the most important festivals in Spain and its location in Catalonia is strategic, since this region is a pioneer community in the production of craft beer and has more microfactories than other regions. One of the las features of this BBF 2017 is that accepts professional exhibitors for the first time, something that we have requested from Aplimet in past editions. This decision welcomes us, since it suggest this trend towards the professionalization of the Spanish small-scale microbrewery sector. 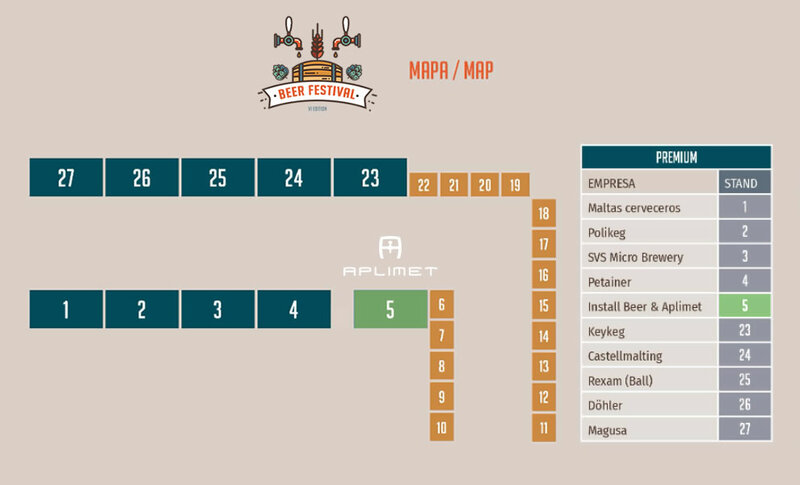 With the aim of supporting this sector that grows as a foam, Aplimet will be present in this edition of the Barcelona Beer Festival, presenting our innovations and technology applied to the microbrewers, like our collection of multi taps. We are waiting for you all in our stand number 5 of the fair (see attached map).